Vocabulary ~ vocabulary ~ vocabulary…many research studies have been conducted that tell us the importance of a large base of words to the future literacy success of children. We know that children, who have been exposed to a wider variety of words, comprehend what they read, write with greater ease, and need less literacy remediation than do children who have not been exposed to what we like to call “juicy” words. Click here to read more about these studies. But how to we go about developing a preschooler’s vocabulary? One thing to avoid is flashcards with pictures and words on them. These do little more than make learning new words a chore for young children. New words need to be a natural part of a child’s world. With our guidance, children can develop a passion for learning new ways to describe their world. Talking to children about what they are doing and observing is one of the best ways to develop a “juicy” vocabulary. 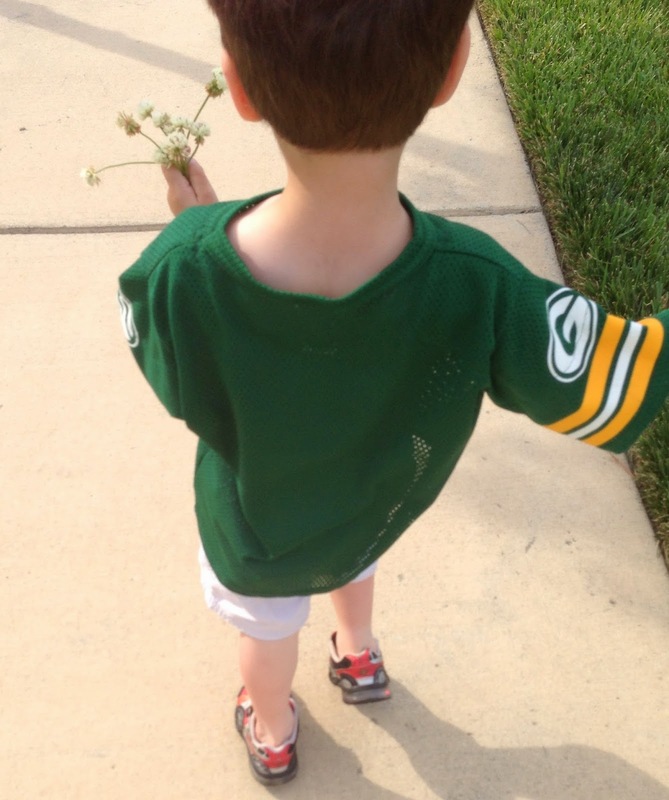 When taking a walk with children, demonstrate different ways to walk. For example, you can show plod or scamper. Have children imitate you while saying the new word in a squeaky or growling voice. This child played with different words like scurry, for the way he moved and used the word clover rather than flowers to more accurately describe his prized possessions. Continue saying some of these words the rest of the day. Let children be the guide as to which “juicy” words are appealing to them. If children giggle in delight when you use and demonstrate the word, scurry, encourage children to scurry on the playground, when cleaning up, or ask them to find a picture in a book showing scurry. Encourage parents to use these words at home. Why not post a white board outside your room and write the words children loved that day? This is a wonderful way to get parents in the habit of using fascinating words with their preschoolers. 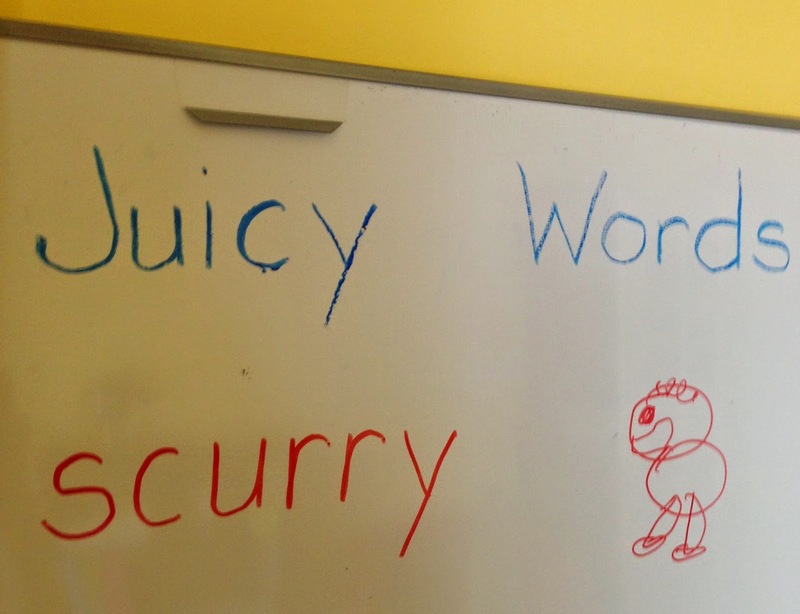 Children can even draw a picture next to the word showing their interpretation of the “juicy” word. It doesn't matter if the illustration accurately depicts the word, if it does this in the child's mind, that is what is important. When children learn to play with words, embrace new words, and find juicy ways to describe an experience or observation, it makes for a lifelong love of vocabulary.